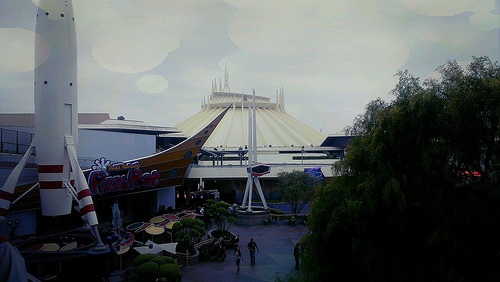 Disneyland did the right thing – they did not challenge the immense Cal/OSHA fine they received when a contractor fell while cleaning the roof of Space Mountain. His fall protection harness apparently failed. He hit the lip of the roof and did not fall down but he did suffer a few broken bones. Remember that this attraction was closed not for public safety but rather for reasons of occupational safety. This entry was posted in Accidents, Disneyland, News, Safety and tagged cal/osha, Disneyland, Space Mountain. Bookmark the permalink.